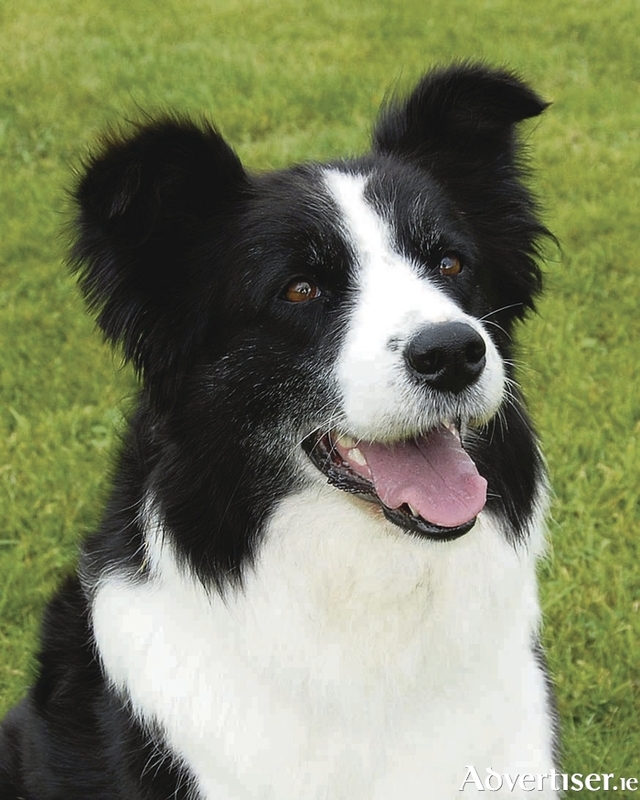 A border collie from County Galway is ‘in the picture’ to have its portrait on thousands of dog food packs across Ireland as part of a competition run by Brandy, the country’s biggest home grown dog food brand. ‘Super friendly’ Daisy, from Gort was chosen from hundreds of entries to represent Connaught in the grand final and will now face stiff competition from the ‘champion’ dogs of Ulster, Munster and Leinster in a bid to be named Face of Brandy 2016. The overall winner will star on selected packs of Brandy Dog Food for three months with all four finalists winning a dedicated photoshoot with their prize pet, a printed photo in presentation box and, of course, a supply of Brandy Dog Food. Owner Sarah Adams received Daisy as a pup when her next door neighbour’s dog had a litter. Now Daisy who lives with Sarah and her partner Christopher, is considered a very important member of the family, along with the couple’s other dogs – two staffordshire bull terriers called Honey and Trigger. “We’re so proud that Daisy has been chosen as the top dog in Connaught and we’re keeping our fingers - and paws - crossed that she wins the overall title,” said Sarah. “Daisy is a wonderful dog and such an important member of our family. She’s super friendly and a real joy to be around. She loves people, especially children, and as soon as she sees them she gets so excited and just wants to play. “She loves playing with her ball and her favourite game is fetch, whether it be tennis balls, socks, rolls of cello tape… you name it and Daisy will fetch it! Her best trick is ‘paw’ for which she is always rewarded with a special treat or two. “She comes to work with me every day and loves sitting in the front seat of the car. She takes pride in her appearance too as she loves being groomed and is very partial to a neck scarf or two,” added Sarah. Gwen Rafferty, Sales and Marketing Manager for Brandy owner Mackle Petfoods, congratulated Daisy on reaching the final. Page generated in 0.2210 seconds.